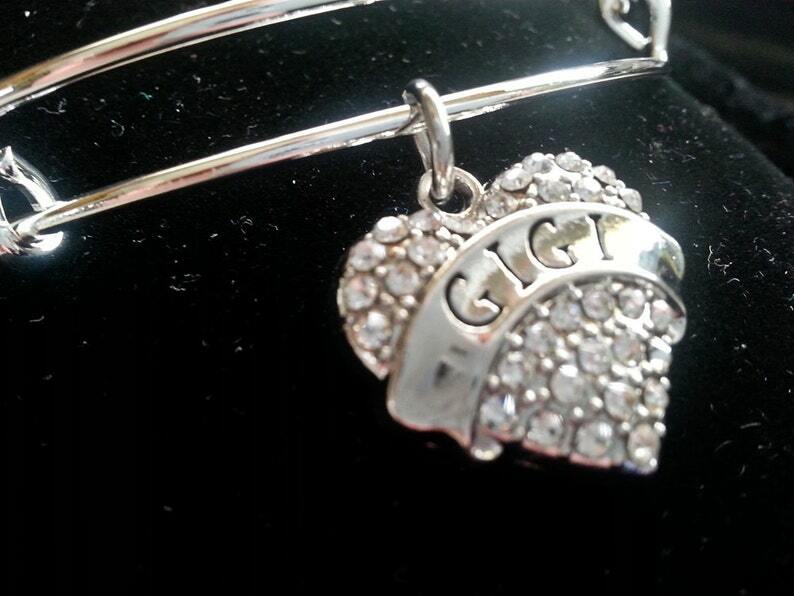 Mimi grandmother bracelet in bangle style, silver adjustable, rhinestone charm, silver and crystals. Free shipping and gift box. 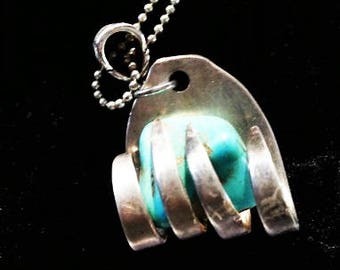 I accept paypal and credit cards through Etsy payment system. Returns are decided on a case by case basis. There will be no refunds on custom orders. All other refunds and returns will be accepted upon agreement, between both parties and must be done with 7 days. In no case will shipping charges be refunded. Should a refund be agreed upon, the unsatisfactory item must be returned in good condition within 7 days to receive that said refund. Should an item be received damaged, please convo me and I will make whatever efforts I can to make you whole. As stated, all fragile items carry insurance in US and Canada. Shipping times are listed on each item and custom orders and changes to an item will incur longer ship times. Each item carries insurance through USPS and tracking is available on all shipments. You will receive notification of shipping when a label is created and tracking is available at that time as well.